Our customers care a lot about their art, and we care about our customers! Jerry’s Artarama knows you need new supplies, and we don’t want you to go broke buying what you need. We’re dedicated to offering the best art supplies at affordable prices day in and day out. Jerry’s Artarama in Norwalk, CT helps you express yourself without breaking your budget. From regular special promotions every week to holiday blowouts, you’ll find more for your money at Jerry’s Artarama. 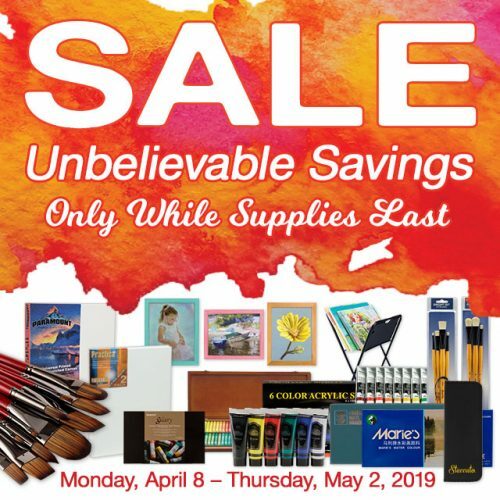 Keep your eyes peeled for special sales and deals on our wide range of art supplies. 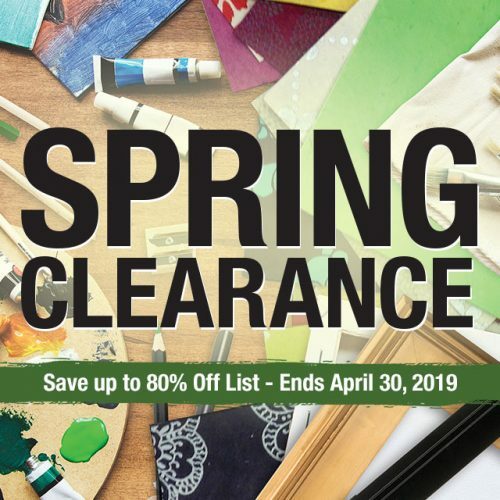 That means everything from paints and brushes to drawing supplies, canvases, and more! Looking to stock up for your next big art project? Our promotional deals are an excellent way to get what you need at a great price. Why not try something new while you’re at it? With deals like these, you can afford to experiment! Watch out for special sales to see how you can take advantage. Anyone can take advantage of our affordable everyday prices and promotions, but things can get even better by joining Jerry’s VIP Club. When you sign up with our VIP Club, you’ll receive a discount card that will give you an extra 10% off every purchase you make. You’ll also have access to secret sales and email only promos. If that wasn’t enough, you’ll get a birthday coupon, too, so you can add some art to your special day. Signing up for Jerry’s VIP Club is completely free, so there’s no reason to miss out on these extra savings! When you save on art supplies, you can do more with your dollar. Hone your skills in areas you love or try out completely new mediums. What are you going to do with all your savings? Here are a few ideas to get you started. Faux Painting and Gilding: Gilding and marbleizing are amazing these techniques can put a new spin on the interior of your home and add new flare to all kinds of arts and crafts. Printmaking: There’s practically no end to what you can do with prints. Whether you want to make personalized stationary or some wearable art, you can do it all when you learn about printmaking. Sculpture and Ceramics: When you work with clay you’re only limited by your imagination. Get your hands dirty and try out this rewarding art form. Storage: If you’re not trying to make new art, you can try reorganizing the art you already have. Check out all of our storage solutions to make more space for your art supplies! Everyone from hobbyists to professionals want to save money on their art supplies. You won’t find a better way to save than taking advantage of the deals and promotions at Jerry’s Artarama. Look for our deals online or visit us at our Norwalk, CT location. We can’t wait to meet you and help you find what you need!